They have been torn away from the underground! Post- punk identity in the style of The Jam, The Specials and The Clash is all the rage and ranks The Spitfires directly at #1 in the Uk Independent Chart. Their last album, Year Zero, succeeded in getting to 8th place in the UK Vinyl Chart. Since 2012, there have been no zero points for these English boys who are forging a reputation as hard workers. The group is considered the leader of the ‘New Mod Revival’ movement. 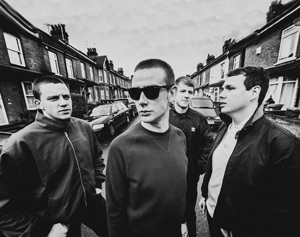 Their well-produced punk, their ska that makes you want to move and their songs sung with the rebellious accents of tough areas in Britain are valued by The Spitfires’ numerous fans. This will also be the case in France with their first appearance.